E-ma throat candies have a hard and sweet outer layer with a gummy center. 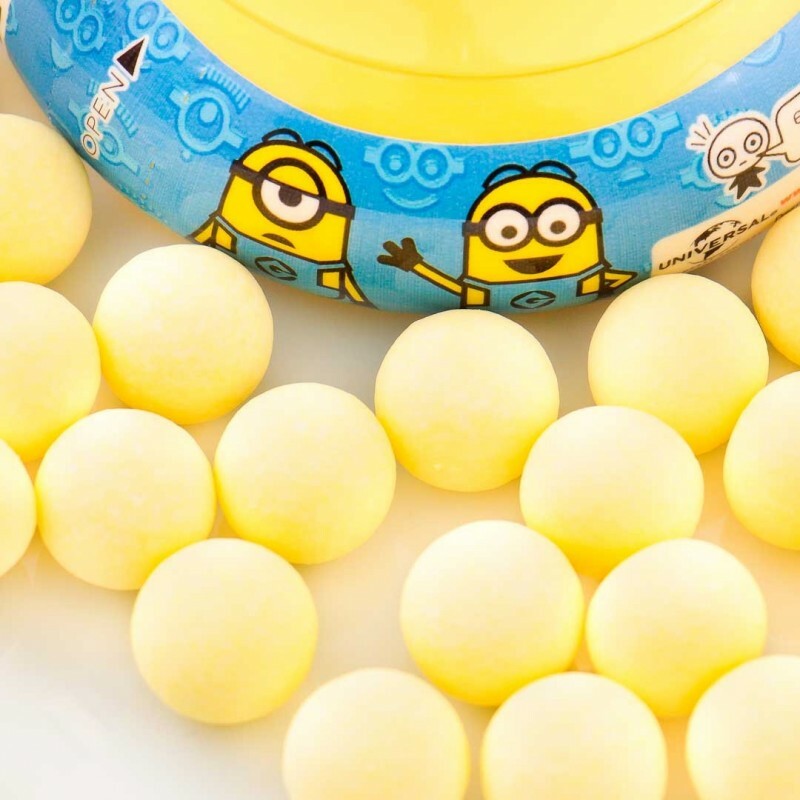 These special edition candies are lemon soda flavored and bright yellow like the Minions! 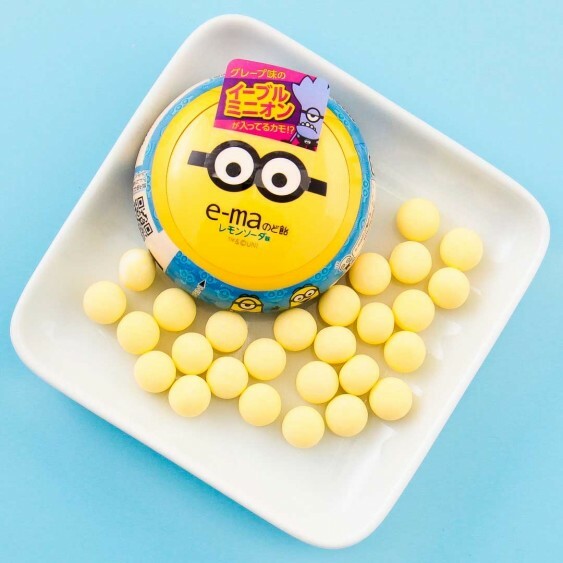 Look out for the bad Minion candy (purple and grape flavored) that might be included in your cute E-ma case!